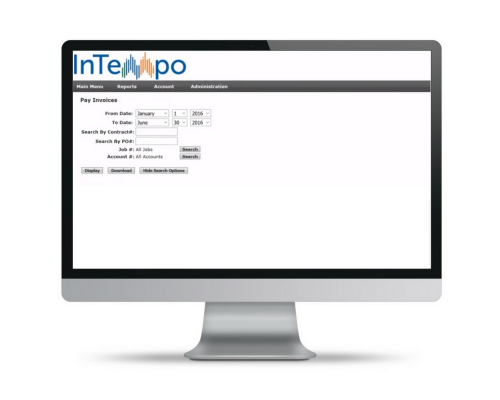 With Customer Portal from InTempo Enterprise, you can offer renters online access to their accounts in a pinch. Not only is the portal a win for the customer; it also cuts out manual processes for the rental business and staff. Your employees don't have to tie up their days responding to requests or returning phone calls and emails. With Customer Portal, all of that information is available at the customer's fingertips. With Customer Portal, renters can access a range of rental, sales and account information whenever they want. They can view and print invoices, see equipment on rent, pay invoices online, pull trend analysis and job costing reports, and more. Customer Portal includes a robust accounts receivable module where your customers can review aging, open and paid invoices and payment history. Customers can also schedule reports for automatic email delivery with just a few clicks. You have control over your Customer Portal. 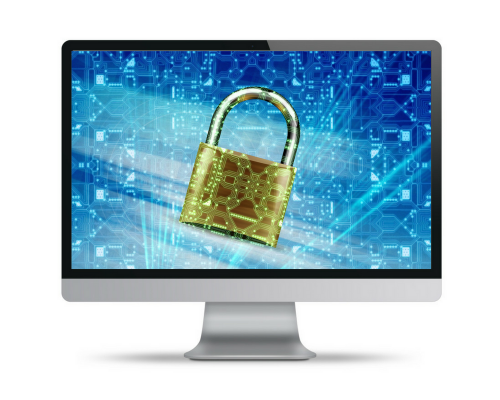 Customers gain access to the Portal securely through your website. Only you can grant them authorization to create an account. 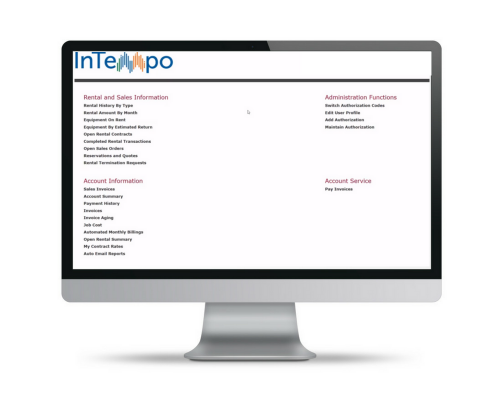 Interested in starting a career with InTempo?